Interested in getting involved with Bates College Radio? 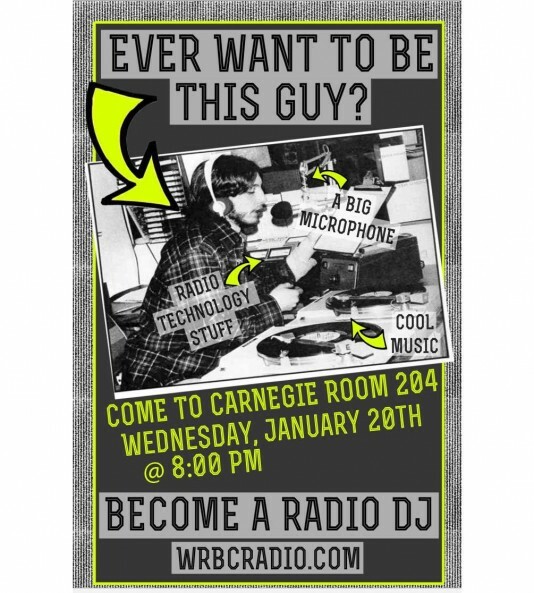 You’re in luck – WRBC’s Winter 2016 General Meeting is coming up on Wednesday, January 20th at 8pm. If you are a student and have had a show in previous semesters, you still need to attend this meeting if you would like to continue your show. If you’re interested in having a show but can’t find a compatible DJ friend – do not fear! You will have the chance to connect with others in the same boat to potentially host a show together. AND If you’re interested in becoming more involved with WRBC, this meeting will provide information about steps you can take to intern and potentially join the WRBC board. The meeting will be short and sweet but packed with important info – don’t miss out!